There is no doubt about it—it is grilling season! No one loves grilling more than we do at HeartBrand Certified Akaushi beef. 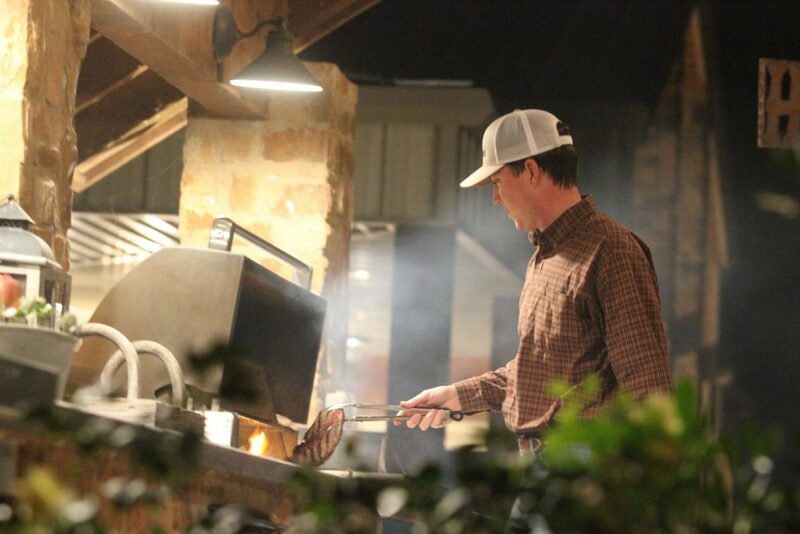 There is just something about grilling season that brings everyone together as a family, neighbors and a community. All the best summer and fall events involve grilling; and we don’t think anything pairs better with your grill than beef—Certified Akaushi beef to be exact! Due to the immense amount of marbeling in Akaushi beef we are often asked how, if at all, it is proper to grill our beef. While our Certified Akaushi beef cooks very similarly to other beef, there are a few expert tips to keep in mind when throwing Akaushi steaks on the grill. We have those tips for you to help you stay the grill master of summer. Tip 1: Monitor your grill time. When with Akaushi beef for the first time you’ll want to monitor their cook time. Akaushi Beef tends to cook faster than regular beef by about 10 percent, so make sure you are checking in on your steaks or burgers to get them the perfect internal temperature for you and your guests. Tip 2: Watch for any flare ups. One thing we have learned is you have to be careful when cooking Akaushi over an open flame. Due to the extra marbling, that makes Akaushi the most enjoyable eating experience, it can flare up more than tradition beef. So, keep some water or your favorite beverage close by incase you get a flare up. Tip 3: Keep it simple. If your using Akaushi for the first time or the 100th time we recommend keeping the seasoning simple. Just some salt and pepper. The Akaushi has great beefy flavor and you don’t want to cover it up with seasoning. Happy grilling season from all of us at HeartBrand. We hope you enjoy your Certified Akaushi eating experience as much as we do!